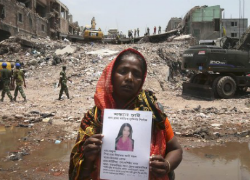 Tag Archive | "corporate responsibility"
It took the disastrous collapse of a building in Bangladesh that housed several garment factories and the loss of more than 1,000 lives for the world to begin to pay attention to the plight of garment workers there. The workers are paid the minimum monthly wage of about $37, occasionally go unpaid, and protesters are often intimidated. There is no collective bargaining, no unions without the owners’ consent. Lack of regulation and poor, badly enforced safety standards combine to create a dangerous workplace. Last November, 112 workers were killed in a fire in another garment factory near Dhaka, the Bangladeshi capital. Last Monday, more than 20 workers were injured in Cambodia when a metal and concrete shelter outside a garment factory collapsed, tumbling into a pond. After the November fire, the Walt Disney Company decided to pull its operations out of Bangladesh. The European Union’s trade commissioner warned that if the Bangladeshi government failed to take prompt action to improve labor standards, the EU would consider suspending Bangladesh’s duty- and quota-free access to EU markets. In the aftermath of the recent tragedy, the government announced a labor law reform package aimed at complying with international standards. The garment industry is huge in Bangladesh, as many fashion companies and big retailers moved there from China, choosing Bangladesh’s highly developed system for manufacturing and shipping large volumes of high-quality garments at a low price. Now second only to China in export volume, Bangladesh’s garment production accounts for 80 percent of the country’s exports and is worth more than $19 billion, employing almost 4 million workers, mostly women, in 5,000 factories. On May 13, more than 30 mostly European companies — including H&M, Mango, and the parent company of Zara — signed a legally binding labor safety agreement. Among American companies, only Abercrombie & Fitch and PVH, the parent company of Tommy Hilfiger and Calvin Klein, signed on. PVH also committed to pay $2.5 million toward factory safety improvements. But several other major American retailers — among them Wal-Mart, Sears, and the Gap — have resisted signing the accord. Gap representatives said because the “litigation landscape is different in the U.S. than in Europe,” it would sign the agreement if the legally binding provision is replaced by a provision under which a retailer not complying with the standards would be expelled from the program. Wal-Mart and Japan’s Fast Retailing Co. have decided to implement their own programs. Wal-Mart proposes to include hiring and paying an outside auditor to inspect every factory in Bangladesh that produces goods for Wal-Mart and publish the results on its website. It is also establishing an independent call center for garment workers in those factories to report unsafe conditions. Locke focused his study on Nike, whose image was tarnished in the 1990s because of accusations of underpaying workers in Indonesia, use of child labor in Cambodia and Pakistan, and poor working conditions in Vietnam and China. In response, in 1992, Nike developed its own corporate standards for working conditions, wages, hours, and health and safety, and required its suppliers to accept those standards. It also uses private audits to ensure compliance and expanded its oversight staff, spending millions of dollars to improve working conditions at its supplier factories. The reality is that many developing countries refuse to enforce even their own regulations. These problems are systemic, and the solutions must be systemic, as well. Private initiatives and voluntary self-regulation are important incentives to government action, which is essential to promote and protect labor rights. And government regulation and functioning institutions are essential if private initiatives are to succeed. A few decades ago, several multinational corporations set goals of social responsibility. The results, however, were mixed. So a shift has taken place from simply creating those goals to devising means to ensure enforcement. Public-private partnership is essential to make this happen. Market pressure is essential to ensure compliance by suppliers, ethical investing by large institutions, and auditing and certification. 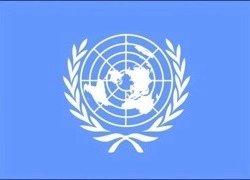 The United Nations’ Global Compact Initiative and Guiding Principles are laudable. They are based on a three-pillar framework: the state’s duty to protect human rights; the corporate responsibility to respect human rights; and the need for greater access to effective remedy for victims of business-related human rights abuse. In addition, several federal and state statutes have imposed due diligence requirements on corporations with the goal of addressing human rights concerns. A new class of for-profit public benefit corporations are in development. Last month in Colorado, Gov. John Hickenlooper signed the Public Benefit Corporation Act, which states that benefit corporations are “intended to produce a public benefit and to operate in a responsible and sustained manner” while also taking into account shareholder interests. Notably, directors of such corporations are authorized to consider social, environmental, and other goals in addition to maximization of profits as they make decisions, which is a major change from the customary bottom-line thinking. Benefit corporations and corporate social responsibility norms demonstrate how far we’ve come. Only the marketplace will demonstrate how far we’re willing to go. Ved Nanda (vnanda@law.du. edu) is Thompson G. Marsh Professor of Law and director of the International Law Program at the University of Denver Sturm College of Law. This month, the once vague idea that businesses have duties toward human rights became explicit. The United Nations Human Rights Council unanimously endorsed the Guiding Principles for the Implementation of the UN Protect, Respect and Remedy Framework, a document the UN itself called “unprecedented.” It is more than that: it’s game-changing. The vote of the 47 members of the Human Rights Counsel sent a clear message to corporations worldwide: human rights are now the business of business. Prof. Ruggie’s work has capped the debate on whether business enterprises have human rights duties. The ‘Protect, Respect, and Remedy’ framework requires States to protect against human rights abuses by corporations, corporations to respect human rights, and both to furnish remedies for victims of human rights abuses. The Guiding Principles lay out specific actions governments and businesses need to perform. For instance, States must clarify expectations of corporate behavior, enact and enforce legislation, and investigate and remedy abuses. Corporations must formally state a commitment not to violate human rights, and demonstrate their efforts to uphold that commitment, through assessment, monitoring and remedial actions. The Guiding Principles outline a human rights due diligence process. This entails assessing actual and potential human rights impacts; integrating and acting upon the findings; tracking the effectiveness of responses; and communicating how impacts are addressed. In addition, the Human Rights Council approved the creation of a working group that will monitor the implementation of the Guiding Principles. The group will consist of five experts that will be selected at the next session of the Human Rights Council in September. Though the Guiding Principles received unanimous approval from the UN, some human rights activists and Council members expressed disappointment. The representative from Ecuador lamented that the framework, by failing to create new legal liabilities for corporations, has fallen short. Oxfam questions the efficacy of leaving corporations and weak states to police themselves. However, virtually all major human rights organizations found something to praise in the Guiding Principles, admitting it was significant progress, even if they saw it as insufficient. The Guidelines will have an immediate impact. Corporations that have pledged to align their operations and strategies to universal human rights norms now have substantive guidance. The Guidelines also provide a clear, uniform system for corporate evaluations, which can be shared with the public. In addition, the Guidelines have already been endorsed by large multinational corporations including Coca-Cola Co., General Electric and Goldcorp. We at NomoGaia have been following, supporting and working with Prof. Ruggie and his team for several years, specifically on the issue of a corporation’s duty to investigate how its actions affect human rights. Our focus has been developing reliable methods of evaluating these impacts. The UN’s Guiding Principles define and mandate such assessment. There is little doubt that the ideas contained in the Guiding Principles will have a major influence on future theory and practice in the increasingly important arena where human rights and corporate action intersect.